Each week, we will take a look at one of the many people who contribute to Mozak. Scientists, developers, team members, and players! We hope you enjoy a look behind the scenes at all of the wonderful people who make Mozak work. 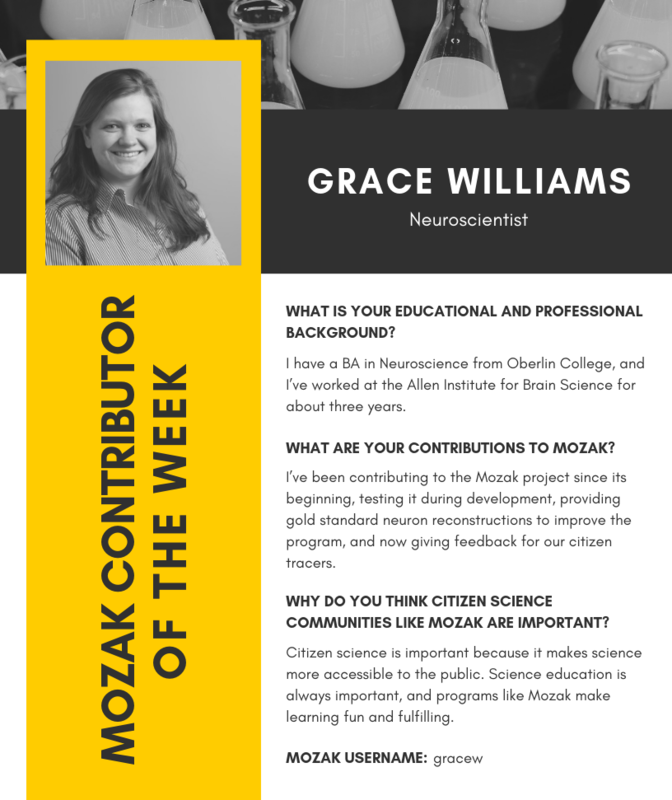 This week, we talked with Grace Williams from the Allen Institute for Brain Science. She’s been a part of Mozak from its beginning and continues to help out as a valued commenter.